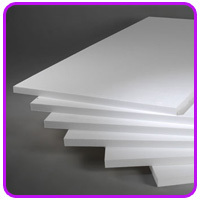 Polystyrene PS foam or expanded polystyrene as its more often referred to, is mainly used within the packaging industry, used as a high impact packaging solution to protect a large range of products from damage during transport or storage. Other uses also include construction, for insulation, lightweight ceiling tiles and sometimes even as polystyrene building blocks for concrete to be poured into to create walls. Polystyrene has useful implications in many different market sectors, an interesting concept is the use of polystyrene in the creation of void formers for the refractory industry. The uses of expanded polystyrene foam are only limited by one’s imagination and has been proven to provide cost effective alternative solutions to many areas of industry. Polyeurethane foam can be applied in many different methods, rigid foam insulation is used widely in household refrigerators and freezers and in cold storage rooms. It is a perfect solution to isolate heat or cold. Flexible foams are most commonly used in furniture cushions, pillows, mattresses and car seats but is also used in some types of packaging. Polyeurethane foam is also available in high density, when moulded can be used in many differing applications such as car bumpers, home applicance cabinets and even aeroplane wings! 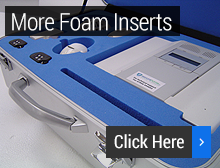 The uses for polyurethane foam are limitless. 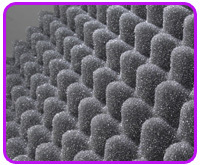 Reconstituted foam or chipfoam is mainly used in the upholstery trade, a low cost and effective method of padding, mainly used in seating, it comprises of small foam pieces bonded under high pressure. Because it is often made from reclaimed foam waste or off-cuts from various grades, the cost is reduced and becomes more affordable as a cushioning medium. 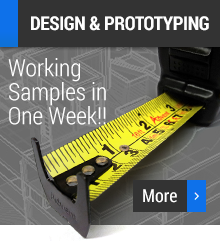 It is usually available in a wide range of densities and colours. Polyethylene, also known as PE, is a polymer, a class of thermoplastics which is ubiquitous in worldwide consumer products, in its foam form, its main uses are packaging, vibration dampening, insulation and also providing buoyancy for marine applications. It is an extremely popular choice in many trades due to its resistance to mildew, rot, and bacteria allowing high volume purchase and easy storage. It is usually provided in sheet form and a wide range of colours and sizes are available.